Have you ever thought about how muchoverdue food is thrown into the trash can from supermarkets, restaurants and catering points? 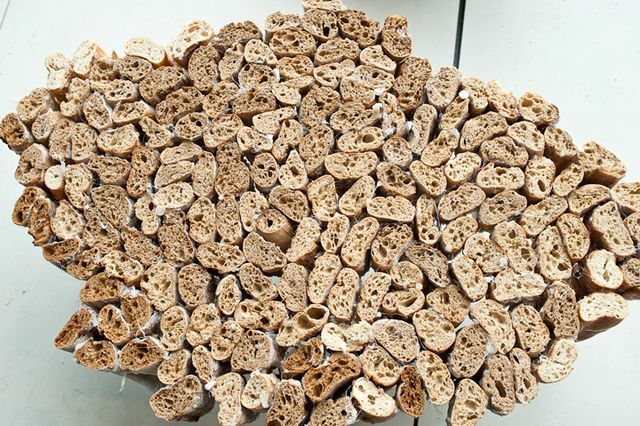 While some people are starving, tons of once consumable food simply rot. 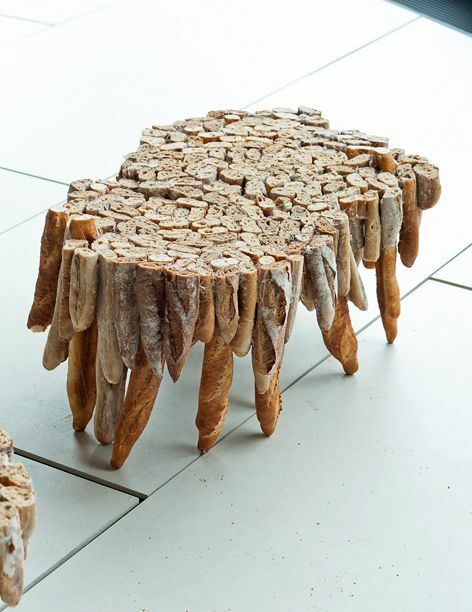 This problem designers Gosia and Tomek Rygalik affected in their social work Baguette Tables - a table of bread. Austrian masters say that in Vienna, productsfood is thrown out in a very large amount, which would be enough to feed almost half the population of a small town Graz. 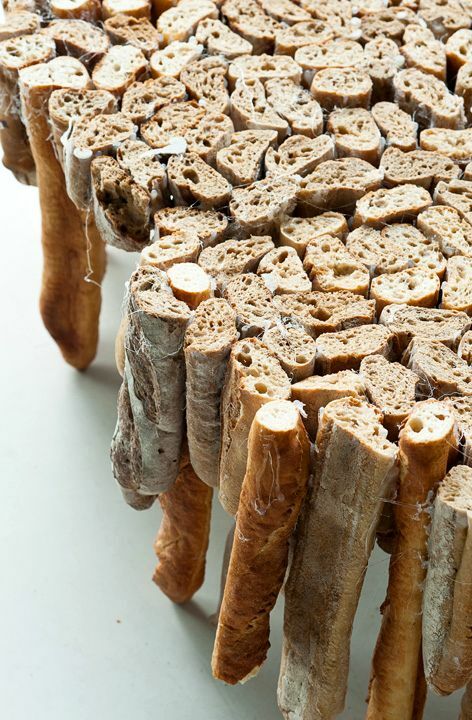 Therefore, their designer tables are made of a very unconventional and even repulsive material - from stale long baguette rolls. 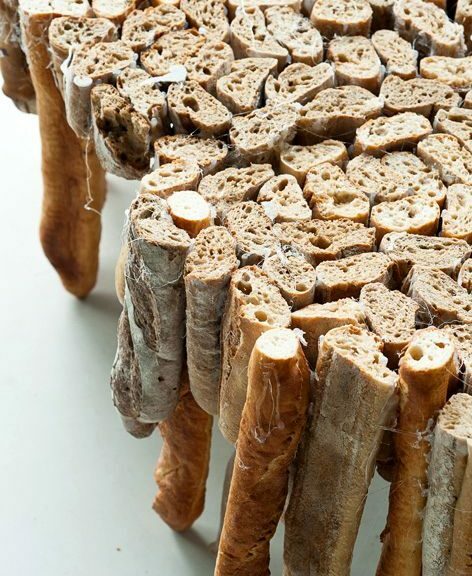 Of course, it is unlikely that someone will want to put such a table in the kitchen, yet the weather-beaten hard bread looks completely unaesthetic and unappetizing. 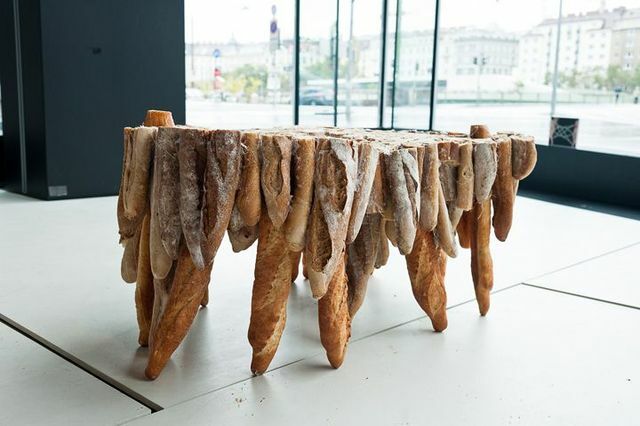 This bread table was part of the "bread experience" at the Vienna Design Week, where the public, surrounded by bread, ate bread from bread plates on bread tables. 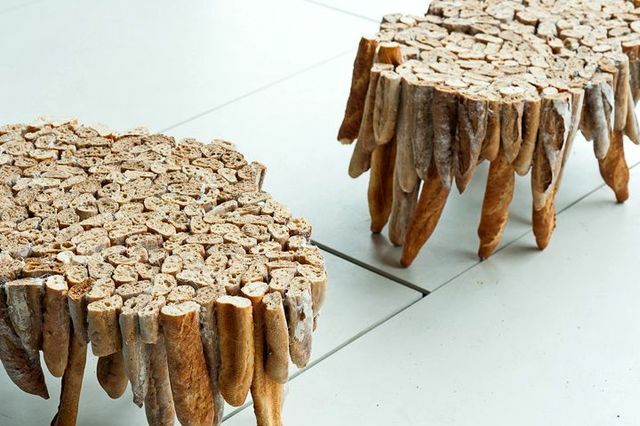 Useful crafts for home. Organizer for things with their own hands.